Back when I first decided to start a blog, I knew that my photography skills were going to need some honing. Luckily, I already had a love for photography. So, diving in deep to this area was not something that I worried about. From my previous years of experience, I knew that what I lacked in skill with a camera could be balenced out with my skills in editing. Over the years, I went on to develop better attention to detail when using my camera, but I still love and religiously use Photoshop. Being able to create presets in photoshop is just a technique that speeds along the process. A preset is basically a button that puts instant editing in one click. Say, you want to juice up a photo that leaves a little to be desired? Then, BAM! One click and it’s done! Just look at the before and after of this picture. It was a beautiful sunny day off the coast of Florida. This was just a candid shot, not meant for a blog. It was snapped with an iPhone 4, and unfortunately, the sun was at his back. I wasn’t sure if this would be able to be improved at all. But, with just a few clicks, I was able to get it to a keepable condition (for memories). Under normal situation, it would take about 15 minutes to do everything that I did in a few seconds with my presets. But, back to you! You know exactly what your own issues are. When you go to edit your images, do you find that you are constantly doing that one thing over and over again to most of your images? Maybe you fight that flat look, and you are constantly editing to bring in some depth. Well, with a preset you can instantly apply that effect to an image. You no longer need to spend hours working on images to get that final finish, not when you know how to create Photoshop presets. 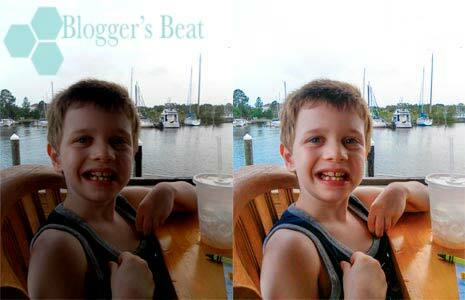 In just a few seconds, you can edit images and have them ready to upload to your blog or to Instagram. That is a big plus if you use a lot of photos in your business, or if you want to create a custom theme for your Instagram account. Seriously, I can’t say enough how handy Photoshop* has been for my business. The great thing about creating presets is that they will always be there when you need them, and you can quickly apply them to any image. Being able to do this saves a lot of time during editing. I recommend that you choose an image from your own shoot. For instance, if you do interior shots most often, find an interior image that represents the short-coming that you wish to improve upon. Then, use that image to create your preset. So, here we go! 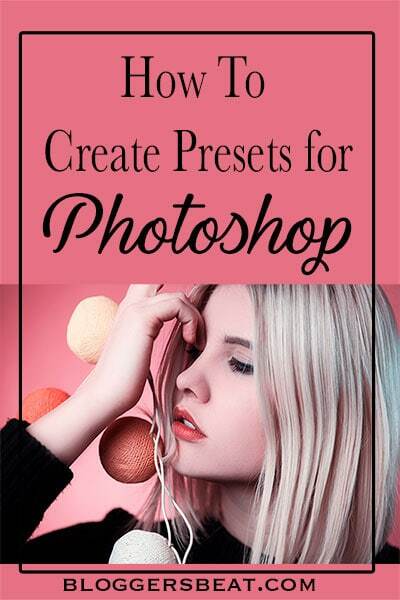 I am including my complete Youtube video to demonstrate how to create Photoshop presets. Watch as I use this image to create a rose gold, sepia, preset. Then, head on over to my new Youtube channel for bloggers and SUBSCRIBE! I just started this Youtube channel so that I could do How To videos for bloggers. I will be posting more like this!